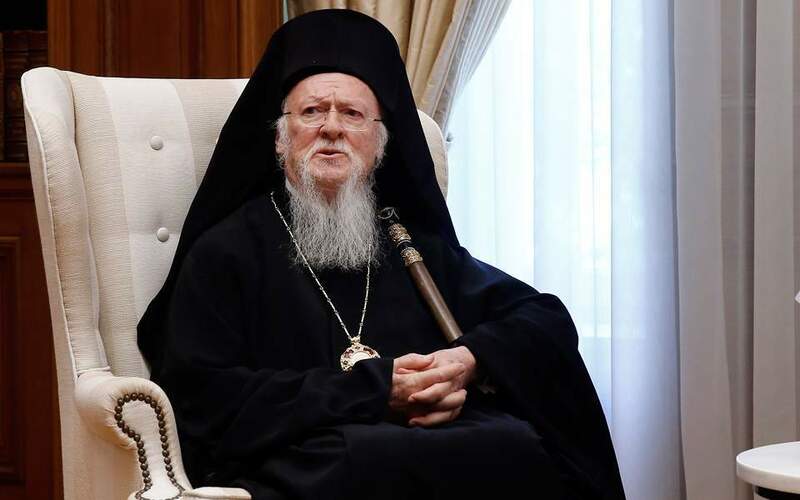 Ecumenical Patriarch Vartholomaios made it clear on Sunday that he would not change his stance as regards supporting autocephaly for the Orthodox Church of Ukraine, stressing that the Istanbul-based seat of the patriarchate will neither issue threats nor respond to them. During a speech at the Aghia Foka church, welcoming a Czech theologist, Vartholomaios referred to the Czech and Slovak churches, the youngest autocephalous churches to fall under the umbrella of the ecumenical patriarchate. "Now it is the turn of Ukraine to receive the status of autocephaly in due course, I hope, despite the existing reactions and this will happen because it is [the church's] right," the patriarch said, apparently referring to the objections of the Russian Orthodox Church. He added that it was also the right of the ecumenical patriarchate to grant autocephaly as it has done to a series of churches, starting with Russia's in the 16th century. As for the criticism from Russia regarding his position on Ukrainian autocephaly, the patriarch said, "We are not afraid of threats." The patriachate "neither issues threats nor makes them," he said.